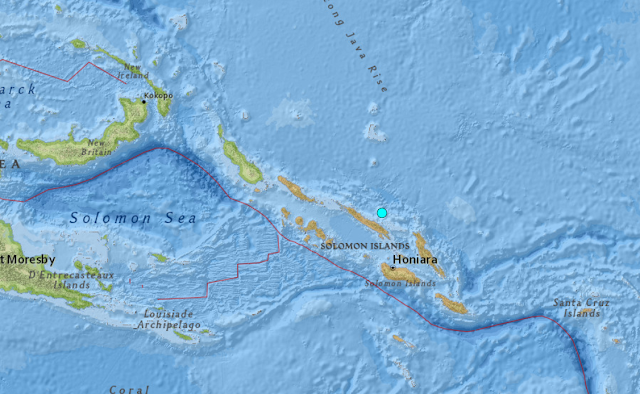 A 4.9R earthquake was reported in Solomon Islands late on 22nd September as we can see from the map and details below. Our technique expected this on 23rd September and therefore it is a little early. 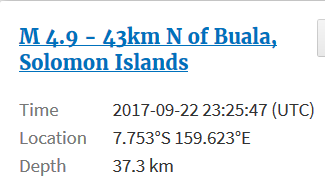 Our coordinates were predicted to be (8.3S, 158.3E) very pleased with this accuracy.